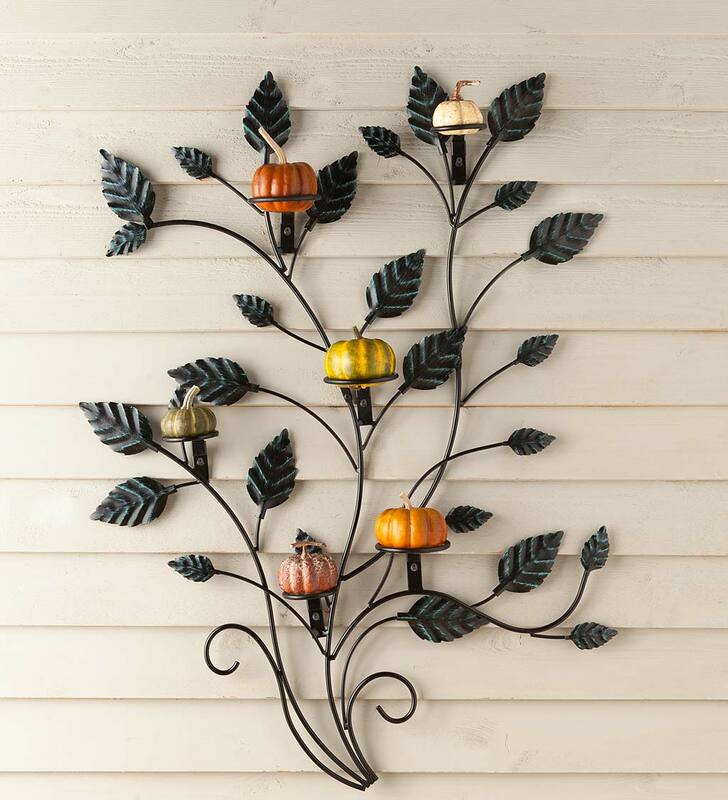 This artful Vine Wall Trellis is a unique way to display potted plants, gourds, faux greens, lights and more. 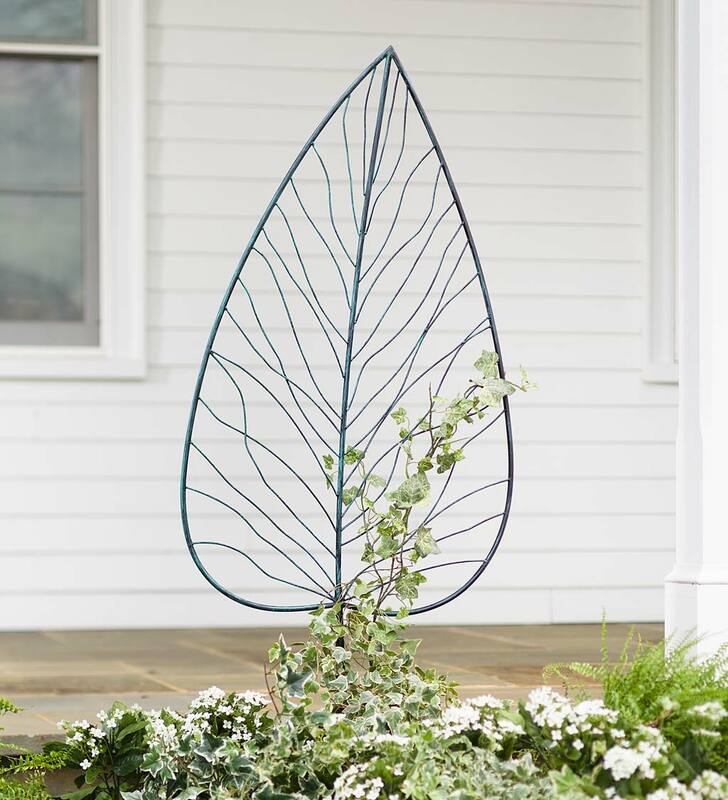 Graceful, leafy vines climb upward, and surround six rings to add color and interest year round, indoors or outside. Three rings are 3" dia. and three are 4" dia. Pots/pumpkins not included. Trellis has six built-in hardware holes for hanging; mounting hardware not included. Metal with a black finish and verdigris highlights. Easy assembly.